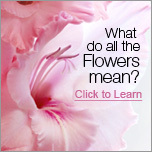 Customer satisfaction is of utmost importance at FlowerFresh. Our goal is to provide our customers with the freshest, best quality flowers at the best possible prices. We hand pick our flowers from specialized farms to ensure the quality and freshness of our blooms. We have sorted all our best selling floral bouquets and floral arrangements by price so you can pick the floral bouquet that best fit your needs. 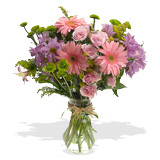 We have thought of every possibility at FlowerFresh to make ordering flowers easy and enjoyable for you. Tips to Men on how to Send Flowers Online: A recent consumer research has shown that sending flowers to your woman will make a lasting impression, showing that 92% of women can remember the last time they received flowers, and 89% say receiving flowers makes them feel special. "If the way to a man's heart is through his stomach, then the pathway to a woman's heart is through her other senses," says Cole, author of Flower Power. "Fresh flowers are a sensual gift that can express any emotion so simply – with just a little knowledge and a phone call to your online florist shop." 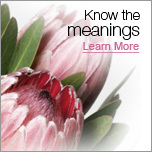 Research shows that 96% of women like to receive flowers when they're not expecting them. "Guys should know that they don't have to wait for a special occasion to give flowers," Cole says. "Make an occasion by sending flowers to the woman in your life, just because. They'll never forget it."